Sulphur-di-oxide emitted from crackers causes shortness of breath. Nitrogen oxides cause skin irritations, and respiratory problems in children. Asthma and bronchitis patients need to be extra cautious of smoke. It is advised for them to stay away from concentrated fumes. 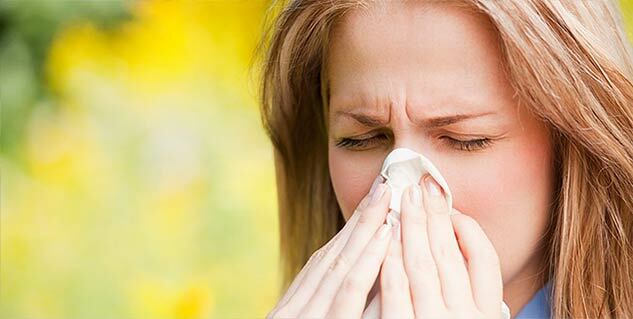 Diwali can bring a train of allergies and you need to prepare yourself adequately for it. The firecrackers emit a lot of pollutants in the air and these can be troublesome for those who have an allergic condition. The bursting of firecrackers is an important part of the festive celebrations and it is also considered good from the point of view of ridding the environment from microbial activity which is at its peak at this time of the year. But the resultant air pollution is a cause for concern and allergic people should try to avoid coming in contact with these. Sulphur dioxide is one of the common pollutants released from bursting crackers. It has a damaging effect to the lungs and can cause wheezing and shortness of breath. Nitrogen Oxides released from firecrackers cause skin irritations, eye problems and respiratory problems in children. Asthma and bronchitis patients need to increase their medicine intake at this time of the year as heavy metals like lead and cadmium emitted firecrackers make breathing even more troublesome for them. The suspended particular matter or dust particles are as much a concern during Diwali. People with heart, lung and problems of the central nervous system are affected more by dust. 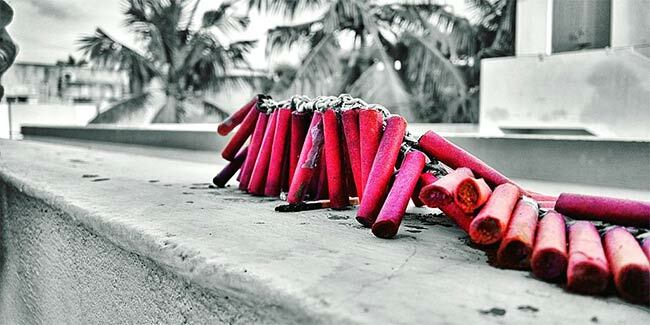 Dust and pollutants from firecrackers take 3 days to settle and these can have a harmful effect on diseases such as allergic bronchitis, chronic obstructive pulmonary diseases, bronchial asthma, sinusitis, allergic rhinitis, pneumonia and common cold. If you are suffering from a medical condition, it is advised that you stay away from places where the concentration of fumes from firecrackers is at its highest. The patients with a medical condition should take special precaution and be prepared beforehand to deal with the situation. Take advice from your doctor on how to prepare yourself better. They may prescribe an enhanced dosage of medications, special medication or face masks.